Colin Smith, an aimless working class youth, is sent to borstal (British reform school) after his impulsive robbery of a local bakery. While incarcerated, the rebellious and surly young man discovers a talent for long distance running, and in his long cross-country runs, he thinks back to his life in the poor districts of industrial Nottingham and the circumstances that brought him to a reformatory. The school's governor, seeing an opportunity to best a respectable boys school in a track competition, encourages Colin to train and perfect his abilities, suggesting the boy might find a new life and way out of his miserable circumstances by competing all the way to the Olympics. But will Colin's pride in his skills outweigh his strong views about cooperating with an established authority he despises? 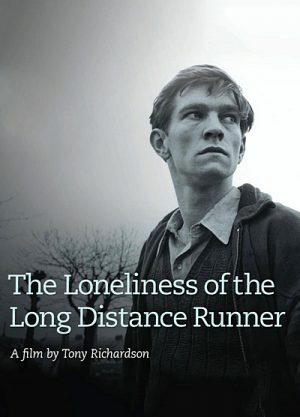 Raw and charged with socio-political innuendo, Tony Richardson's The Loneliness of the Long Distance Runner reveals plenty of similarities with Karel Reisz's Saturday Night and Sunday Morning - the two films are based on stories by Alan Sillitoe, take place on the streets of post-war Nottingham and have main protagonists that are the product of a system that has turned its back on them. Both films are also considered amongst the most influential from the British New Wave.